It’s no secret I love Croatia. It is what sparked my blog, it is what sparked my desire to quit my job and head out to explore more of the world. When I booked my long-term travel, I knew I wanted Croatia to be where I would end my trip. There is something magical about the country — the way the water is that perfect cerulean blue and the way the trees are neon green. Yes, I love Croatia with all of my heart. When my friend, Katie, suggested we visit Brela en route to Split, I agreed for one reason: there is no place in Croatia I don’t love. Surely, Brela would be no exception to this. With amazing storms rolling in from Biokovo Mountain and hovering over the Adriatic Sea, how can you not love this little beach town? It’s enough to make someone book airline tickets immediately and head to this gorgeous destination. 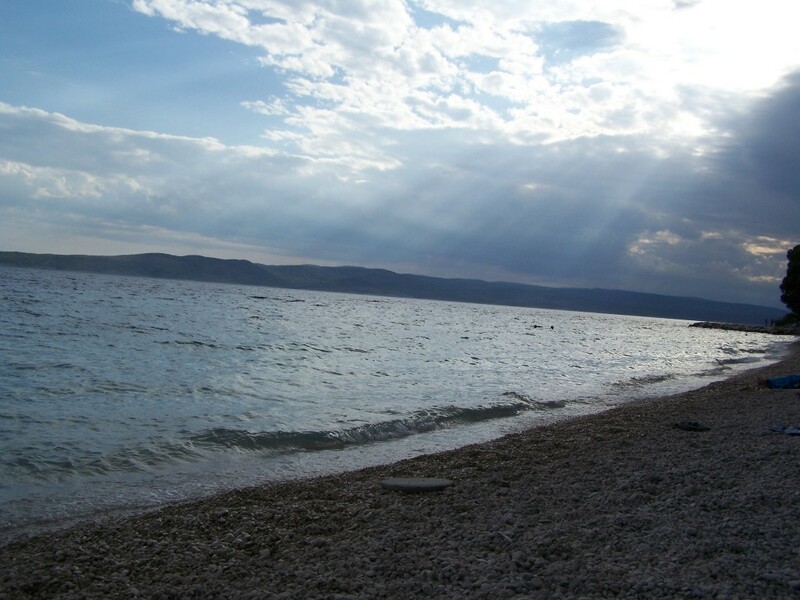 Brela’s beaches are some of the best in Europe, earning one of its beaches, Dugi rat the distinction of being one of the most beautiful on the continent. Maybe you’ve seen this photo, of trees growing out of the white rock in the middle of the water? With more than 7km. of pebble beaches, there are plenty of options to kick back and take in the colors, the fresh air and the relaxed atmosphere of this town. 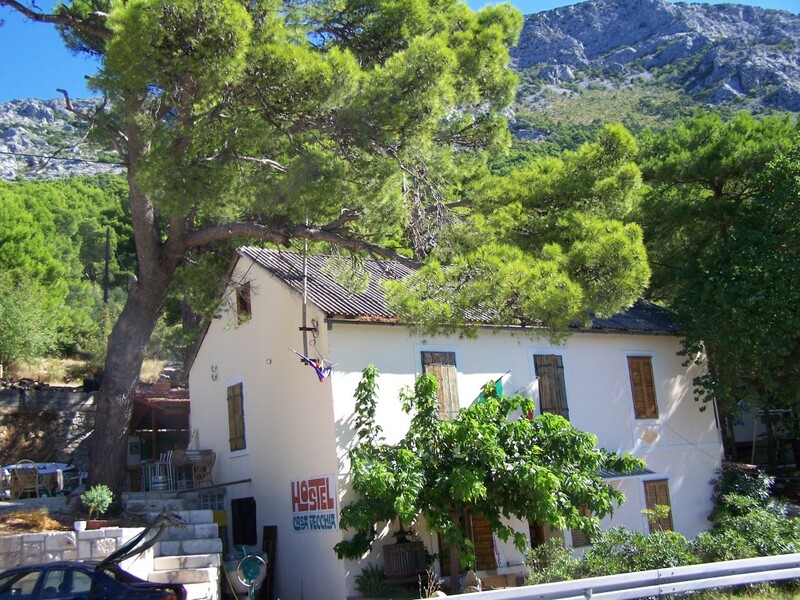 There is only one hostel in Brela, Casa Vecchia. It’s awesome. Owned by an Aussie, it’s got a great beach feel with a huge outdoor patio, covered bar and stunning views of the seaside below. We got there the last night it was open, so for our second night, the owner moved us down to one of the apartments he rents out. On. The. Beach. Yeah, it was amazing. Getting there: If you’re planning a trip to Croatia, there are a few stops most travelers are sure to hit — Dubrovnik and Split are two of them, in South Dalmatia. Brela is located about an hour south of Split, about three hours north of Dubrovnik, and about two hours from Mostar in Bosnia and Herecgovina. If you’re taking the bus, be sure to let the driver know to stop at Brela. There isn’t a formal bus station, but a stop at the top of the town where you can hop on and off, paying when you board. Have you been to Croatia? What’s your favorite beach? I spent a happy couple of weeks in Croatia back in 2005. 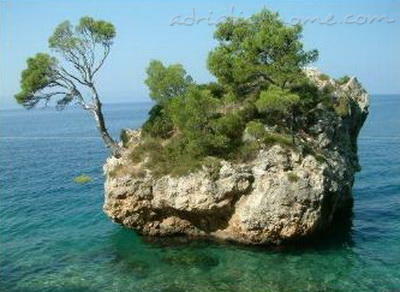 Its a beautiful place, especially the islands like Hvar and Brac. Hvar is LUSH!! So decadent and beautiful! 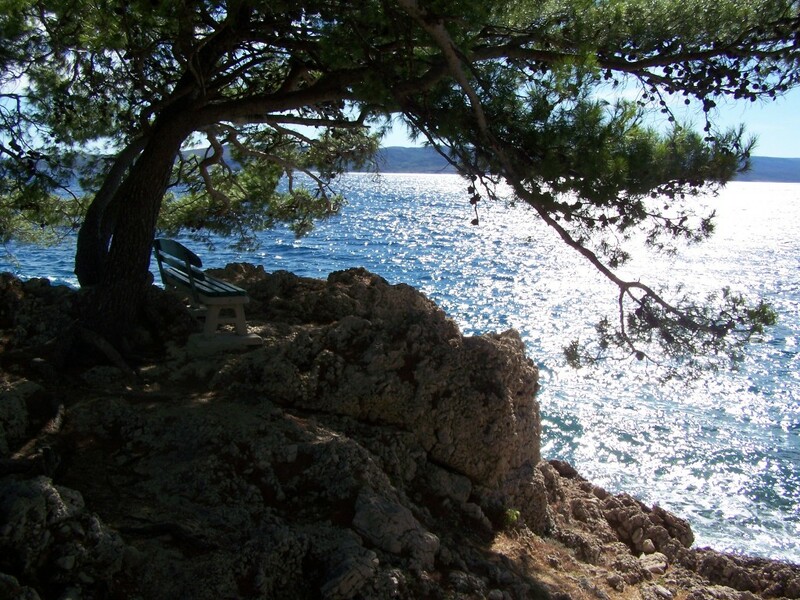 Best beach, hands down is the (FKK) beach on the island of Lokrum near Dubrovnik. It’s on the cliffs, but the weather is always perfect since you can escape the shade easily throughout the day and jumping in that fresh seawater is just the perfect way to cool off and relax. The views are incredible! It sounds really nice! 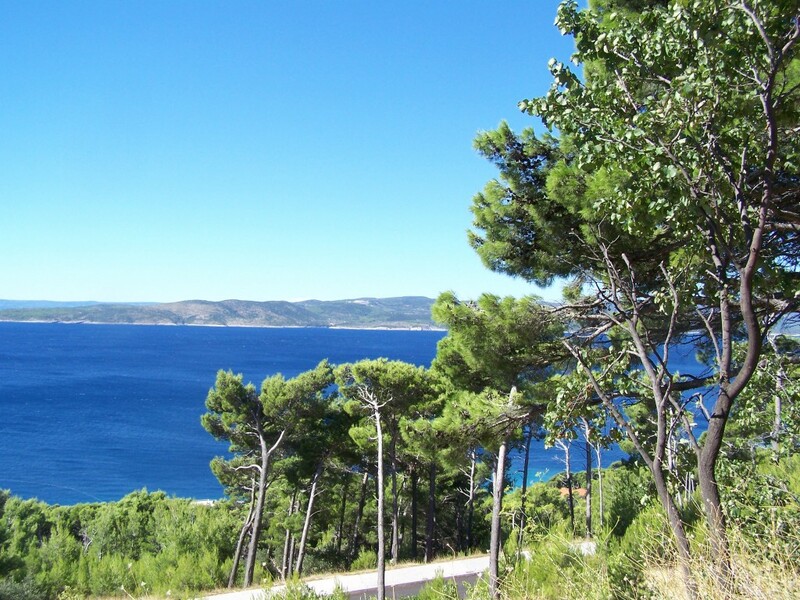 I never got the chance to go to Lokrum, but, based on the rest of the islands and cliffs, I can only imagine how beautiful it is! That seawater is amazing — so salty you can just lay there effortlessly! It’s the perfect hangover cure! Dubrovnik is on my list of ‘must sees’ before I pop my clogs. I even have a fantasy of living there. I would love to visit Croatia some day. Beautiful photos! Thank you!! 🙂 Well, I know I will be there again in the next few years, we should time it together! It’s definitely high on the list! The beaches look amaaaazing!!! We haven’t been to Brela yet! It’s on our ‘To Explore in Croatia’ list now!! Fabulous photos, btw. That sea looks very inviting! Sounds like a great hostel too. The Croatian coast is a beautiful place – it’s been 11 years since we were there so we’ll have to go back and explore some more of it. The Adriatic is SO inviting! When I left on my long-term travel, I couldn’t wait to get back to that sea! You definitely have to get back there and do some more exploring! Don’t you love the things the white stone and blue sea do along the coast? I haven’t been to Brela yet, but will add it to my list. I love everything about Croatia, particularly the vivid colors!! You know, you’re totally right, it really is the perfect hangover cure! I never could float in water until I came to Croatia, love that salt 🙂 It’s so nice to read about your impressions of Croatia by the way! Thank you! 🙂 I never really liked swimming until I went to Croatia either, but that water … mmmmm. Croatia is lovely, isn’t it? (Slovenia, too :)). Really like that last photo. Thank you! Croatia is soooo lovely! I actually have not been to Slovenia … yet. I will meet you there!! Thank you!! Croatia is magical! 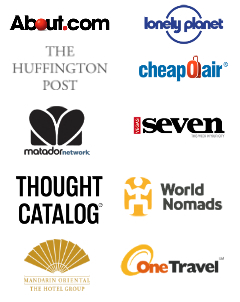 Definitely make it a part of your RTW!! Just skip it during tourist season. Head there in mid- September and there won’t be all of the people, the rates will be cheaper and the weather will still be fantastic! Heaven!!! I wish we could go right now! this sounds great D! Unfortunately, I haven’t had time to visit Croatia while living in Bulgaria but I will do it in the future. The pictures look great! Thank you! You should really try to make it there, Sebastian! You will not be sorry! I first went to Croatia back in 2003, when it was still a little raw after the conflicts. I loved Dubrovnik, however, and returned to Zagreb only a few days ago. I really enjoyed reading this post about your memories of the country. Thank you, Abi! I remember one night I had in Dubrovnik with the girl who worked at the hostel. She was very vocal about the conflict that happened and spoke openly about it, which was unexpected. I just have such a love for this country! Always great to find out about this smaller towns “on the way” to the main spots. This one is a little gem. There are quite a few little towns like this between Split and Dubrovnik that are great! 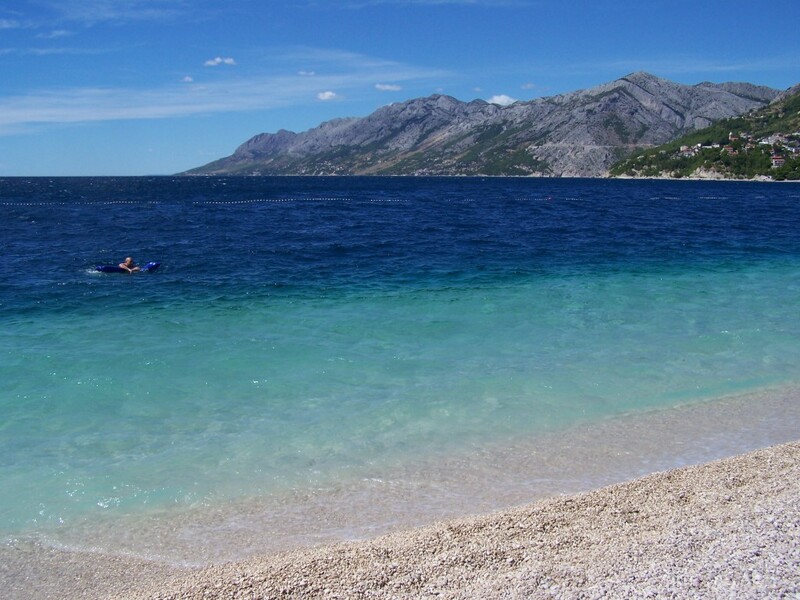 Our fav beach in Croatia was in the town of Omis, about 30 min south of Split. The rocky mountain landscapes and crystal clear water made for an unforgettable beach experience! Mmmm. I am craving a return visit to Croatia. I’m starting to dream of Croatia. I would love to visit. The photos are simply stunning. I’m hoping to get to Croatia next year. I was thinking of Paklenica, for the awesome climbing crags. But now the beaches are also on my to see list. Thank you so much! Croatia is pretty stunning, so it makes it really easy. The beaches are a definite must! Croatia has been on my wish list forever! Great pics! The water looks so inviting!!! Beautiful photos! Thank you, Audrey!! Have you been to Croatia? GAH! Look at the color of that water! It’s so perfect. I’ve never been to Croatia, though I’m (allegedly) going with my parents in 2013. Isn’t the water amazing? It is the first thing I fell in love with. If you are there in 2013, there is a chance I could be there, too. 🙂 We could go ferry to Hvar for a little girlie weekend! Sigh … I miss it!! That’s awesome!! Did you get to go to the beach apartment? Yes, they gave us an apartament where we just needed to walk down the stairs and there was the beach in front of us, just great! it was awesome the weather was great even though it was late April. Nice!! I know which place you are talking about. It is a lovely sobe! We cooked dinner there, then headed back to our apartment on the water. Greg, the owner, rocks! I can totally understand why Croatia would have such an impact on you. I visited Korcula while backpacking Europe to earn my dive certificate. I had NO plans of visiting Croatia while in Europe. It wasn’t until a week before going that I found out I would be going. But it is an absolute stunner. I think it’s Europe’s best kept secret. I love the photos of Brela. That hostel is so cute. I can’t wait to go back. This will have to be a visit when I do go back. Oh BTW-have you ever seen the Bradley Cooper travel special about Croatia?Probably too of the most gorgeous things on earth all rolled up in one. I hadn’t seen the photo of the trees growing out of the white rock in the middle of water. But you are right about the colors of Croatia being like nowhere else. The water defines blue. The trees are true green. Everywhere else is just copying the colors of Croatia. Hey D, really enjoyed looking at these photos! Especially from my dark apartment in Sweden where it is currently -7 degrees C 🙂 Just wondering how you’d compare Brela to Hvar? Is it bigger/smaller? Looks maybe a little more remote and less nightlife? I was in Hvar in July 2005 and it almost felt like we had the entire island to ourselves but from what I understand it has become really popular, especially amongst backpackers. I am cold just reading how cold it is in Sweden!! 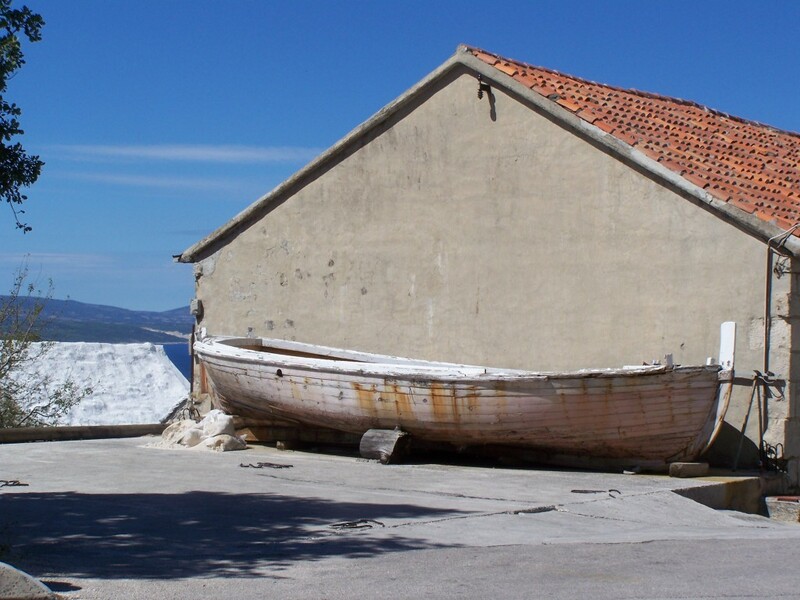 Brela and Hvar are absolutely different. Brela is a little beach town on the mainland that attracts more families and German tourists than Hvar, which seems to attract a lot of wealthy Italian tourists and backpackers looking for a party. Keep in mind, I visited both after tourist season, so what I experienced could be different. When I was in Hvar in mid-September in 2009, the hostel was pretty much full. The clubs were still packed. Brela was the opposite a year later. I still love Hvar though and think it is a great place to visit. I just don’t know if I would have the patience to go in the height of tourist season. It’s a slice of beauty and heaven and I wouldn’t want to share it with the masses. I hear ya…think I will wait as well to return to Hvar when the coast (or island in this case) is clear. Brela is on my list now, thanks for the advice! Of course! Let me know how your time goes there! I was born in Knin, Croatia. It is a beautiful country. Croatia is one of my favorite places in the world!